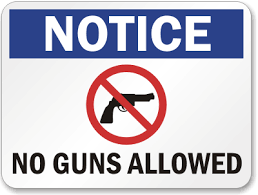 Safety and Security in Gun Free Zones — Eagle's Wing Security Consulting, LLC. Many of us work in places where law abiding people have been disarmed. Statistically this makes us MORE prone to be targeted for violence, not less. Does this mean we are helpless? No! This is an expanded version of the first day of class safety lesson I teach to all my college students. Learn to use UW-Madison's "Four Outs" to surviving violence. Hear about Lt Col. David Grossman's four D's of Church, School and Workplace Security. You'll receive a list of items you should carry on your person every day to stay alive and well until help arrives, and a reading list that will allow you to go further in keeping your home, family, school, church, and workplace safer in any natural or man made emergency. $15 per person. Please reserve your seat in advance so you materials can be put together.